When I learned that Joss Whedon was going to be writing and directing The Avengers, I had a marathon and watched all of the superhero movies I had missed seeing in theaters so I could get acquainted with the characters. Of all of the ensemble cast, I have a soft spot for Robert Downey Jr.’s Tony Stark/Iron Man. I loved that he didn’t really have a super power, but had to rely on his instinct and his intelligence to get him out of sticky situations. While we’re all waiting anxiously for The Avengers 2, we have a few other sequels to look forward to, including Iron Man 3! During my brief trip to Los Angeles a few weeks ago, we got to meet with Kevin Feige, who is the President of Productions at Marvel Studios. Disney now owns Marvel, which makes for an incredible partnership! You’re probably wondering what Iron Man 3 has to do with Oz the Great and Powerful, aren’t you? Well, when you all go off to see the wizard in theaters on March 8th, the Iron Man 3 trailer will be in the previews before the film! At the time we met with Mr. Feige, Iron Man 3 was 98% finished. We were so lucky and got to see 10 minutes from the film. “In coming off the heels of Avengers, we wanted to focus on Tony…we wanted to remind the audience, yes the suits are cool, but it’s his intellect that is really his super power,” Mr. Feige explained to us about the film. After Tony’s mansion is blown to smithereens, he finds himself stranded in a small town in Tennessee, where he meets a young boy named Harley (played by Ty Simpkins). “We never really had a little kid that had that big a part in any of our films,” he said. A strong bond had already been formed between Robert Downey Jr. and Ty Simpkins before he was even cast. Ty found out he was going to be in Iron Man 3 from Robert himself; he insisted on calling Ty to give him the great news. Some test audiences have already seen the entire film, and they found the scenes between Tony Stark and Harley to be the “most surprising” and “unique”. 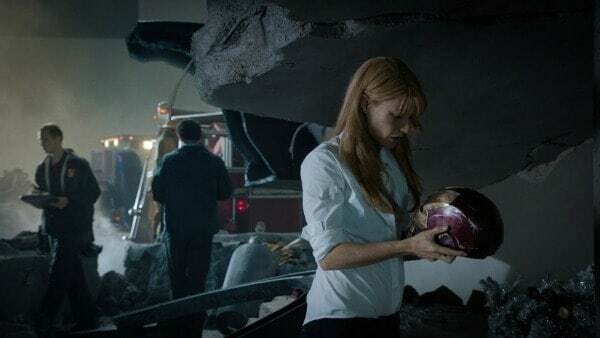 While at four my daughter is still a bit too young for movies like Iron Man 3, I would recommend it for older children starting at maybe seven or eight, depending on the child. We are also really excited to be debuting the Iron Man 3 trailer on Simply Stacie this morning! 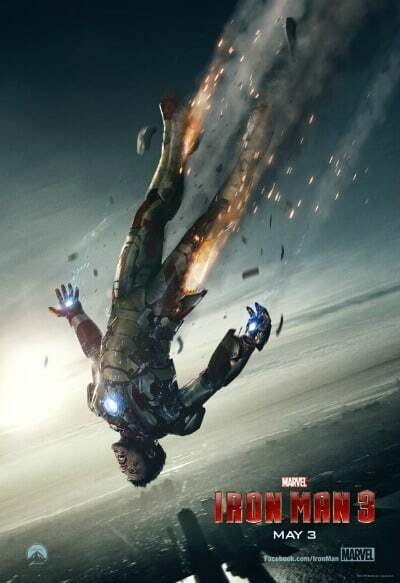 Iron Man 3 will be in theaters everywhere May 3rd, 2013! Great trailer! I’m so excited to see this movie! Awesome trailer. I have the DVD for the first movie, but never watched it. I keep waiting for my 14 year old grandson to come over and watch it with me. I haven’t seen the second. I’m not going to wait anymore. I may get Iron Man 2 and catch up. This looks like it will be a really good movie. this movie looks so awesome! It’s great that Marvel Studios has a coherent plan in place for it’s Avengers-franchise movies (Iron man, Thor, Captain America, Hulk) by linking them all together. Now if only DC could do the same thing with Justice League and I’d be really happy!